This is a message for my English speaking “readers”. (Yes, there are few of them, who use gogle translator to read my blog, and many more who visit to view my photography work ). 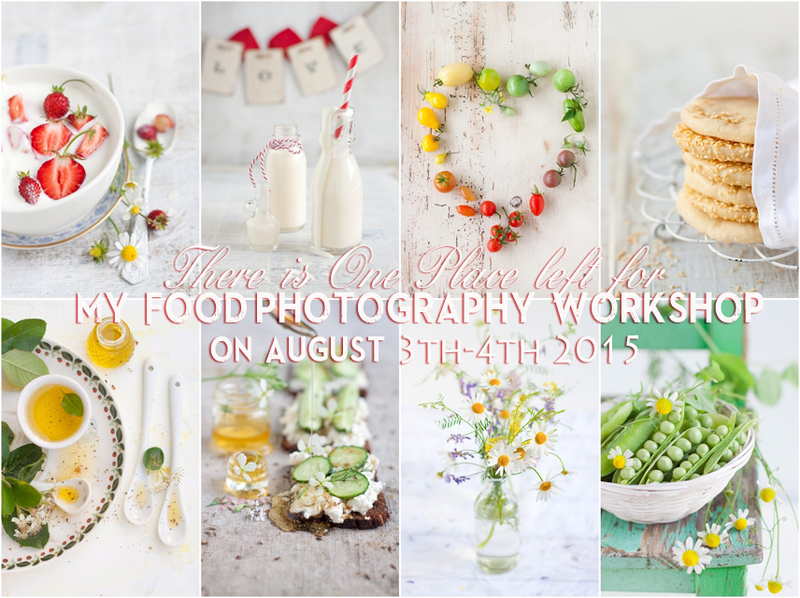 As you may know (or not) I run food photography & styling workshops regulary for Poles. They are very successful and I’m booked 2-3 monts in advance. But sometimes I also get requests from English speaking photographers. Rarely I travel to their country (if they organise a workshop for me there) but usually I put them in small groups (2-3 person) and invite them to my home studio in Warsaw. Here, for two days, I share with them my knowledge about composition, styling and lighting and we try to put this knowledge into action photographing together. The course last for 12 hours (two days) and the cost is 1200PLN (what is arround 300Euro. Please notice that price does not include hotel acomodation or meals cost- this you have to take care of yourself. If you want I can recommend you the nearest hotel). For more details, any questions or booking the place- please contact me on greenmorning.pl@gmail.com. I’m looking forward to meet you this summer! “I want to thank you so much , Kinga , for sharing your valuable knowledge with me throughout the two jampacked full days of lecture and practise about food styling and photography. I had great time!